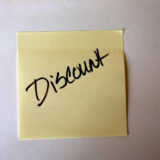 Nowadays, almost everybody shops online for the sake of finding discounts and other fair deals. According to Statista, about 136 million will have used coupons by the end of the year. Statista further predicts that the number will rise to 145 million by the end of 2021. You can shop online for home products, tech products, travel deals, and restaurant deals. Other than having the opportunity to enjoy discount codes on a wide selection of products and services, shopping online allows you to sort your options by price, type, and percentage off. SlickDeals tops the list because of two major reasons. First, the site allows you to set up customized deal alerts for the product that you want to buy cheaply. When such a product is on offer, you’ll get the alert in your inbox. Secondly, they have a variety of deals – electronics, groceries, beauty products – just name it and you’ll find it at SlickDeals cheaply. Just like SlickDeals, Brad’s Deals allow you to access discounts for almost everything. From home products to electronics and from pets to tech products, the options are a bargain. Brad’s Deals offer you coupon codes from thousands of stores nationwide. You can print them online and redeem them at the respective physical stores. If you are looking for a site with the best coupons for kids’ products, it has to be Hip2Save. All you have to do to enjoy huge discounts is to buy in bulk. The platform is easy to navigate. 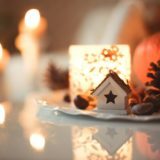 So, you won’t waste time shopping. Furthermore, they have a mobile app that you can install and use it to customize your deal alerts. This is a comparison-shopping site that you can use to access a wide selection of discount offers for electronics and home products. In addition to getting discount codes, they offer shipping information and deal predictions. So, if you are the kind of shopper who always wants to stay informed about the latest shopping trends, then you should install the DealNews app. For the best bargains for home products, ShopAtHome is the site to consider. They allow you to get up to 40% cash back. To shop on the site, you need to sign up for a customer account for free and use it to access the latest discount deals. By clicking on ‘cash back’ you’ll be directed to the products that you can save. This site provides you with the latest discount deals for electronics and clothes. They have a mobile app that is compatible with iOS and Androids. You can see the customer reviews through the app. The app also allows you to set deal alerts for the product that you are interested in. If you are an extreme couponer, then you must have heard of RetailMeNot. The site has amazing promo codes all year around for a variety of products. You are required to sign up for a customer account for free so that you can enjoy a cash back. They even have a mobile app that you can use to shop conveniently. This site allows you to find the latest deals as soon as they arrive. It applies to products and services. For example, you can get the latest travel deals for major destinations in the world. You can set your alerts based on the deal keyword. To most couponers, Groupon is the undisputed coupon king. The site gives you access to amazing discounts. You pay almost a half price of what most retailers ask. From home use products to travel deals and from restaurants to fun activities, you get all the bargain deals on Groupon. Lastly, you should visit GottaDeal.com to get the latest coupons online. They have a variety of product categories such as wearables, beauty, and electronics. You can sort the deals bysellers. The site’s most beautiful feature is the customizable tool that allows you to set up personalized alerts. The above sites are just what you need to shop cheaply online. Whether you are looking for a cheap travel or a personal product, you’ll get it on the sites. Besides, you can always register for alerts to be notified when the deals come about.